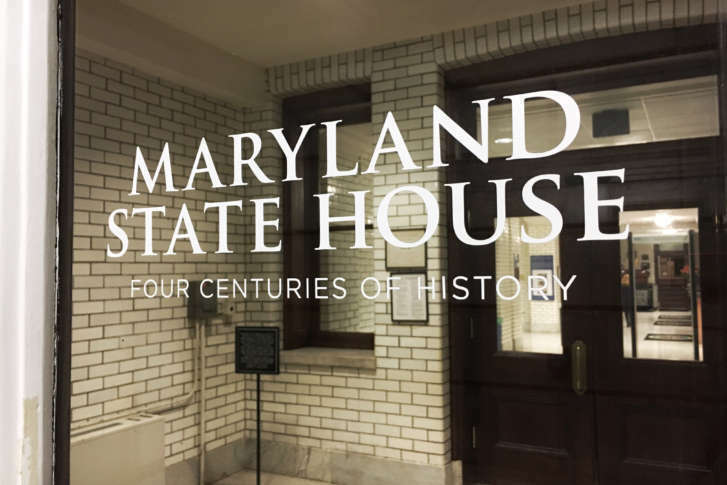 A measure requiring presidential candidates to make their tax returns public in order to appear on Maryland's ballot passed the state Senate on Monday night. ANNAPOLIS, Md. (AP) — A measure requiring presidential candidates to make their tax returns public in order to appear on Maryland’s ballot passed the state Senate on Monday night. The bill, approved on a 28-17 vote, would require presidential and vice presidential candidates to release the preceding five years of their tax returns to appear on the ballot. It was introduced after President Donald Trump bucked tradition and didn’t release his tax returns during his 2016 campaign. The bill now goes to the House of Delegates. Maryland could be the first state to enact such a requirement. Democrats control the Maryland General Assembly. Gov. Larry Hogan, a Republican, has yet to take a position on the bill. Similar bills that passed in California and New Jersey were vetoed. Hawaii’s House and Senate passed proposals last year, but both bills died after the state’s attorney general raised concerns about potential lawsuits. Sen. Paul Pinsky, a Democrat who is sponsoring the measure, noted that it has been a long practice for presidential candidates of both major parties to release their tax returns. But Republicans said the bill was unconstitutional and wouldn’t survive in court. “There is only one way this bill is going to end and it will end in a humiliating defeat after we spend millions of dollars losing our way to the Supreme Court,” said Sen. Stephen Waugh, a Republican. An opinion from the Maryland attorney general’s office found that the measure raises some constitutional issues, because it could be argued that requiring candidates to waive their right to confidentiality of their federal income tax returns to appear on the state’s ballot is an undue burden on the First Amendment rights of candidates. At the same time, the opinion found it’s possible a court could find that the state has the ability to determine that it is in the state’s interest to mandate the release of the information to voters. “For this reason, in my view, your proposed bill is not clearly unconstitutional,” Sandra Brantley, counsel to the General Assembly, wrote in an opinion on the legislation last year, when it was first filed.